The Indian two-wheeler industry, which accounted for over 20 million units in 2017, is the largest market in the world. Of these, scooter sales account for over 7 million units per year. We recently brought you a list of top 10 best-selling bikes in India in 2018. Here's a list of top 10 bestselling scooters in India in 2018, based on SIAM (Society of Indian Automobile Manufacturers) shared dispatch data. Honda Activa 5G at 2018 Auto Expo. The Honda Activa is by far the highest-selling two-wheeler in India in 2018. With average sales of 2,74,323 units per month, the Activa is the bestselling scooter in the country. The Honda Activa range consists of the Activa-i, Activa 5G and the Activa 125 priced between INR 50,010 to INR 64,007 (ex-showroom Delhi). The Honda Activa 5G and the Activa-i use a 109.19 cc single-cylinder, 4-stroke engine that produces 8 bhp of power and 9 Nm of peak torque. The Honda Activa 125 employs a 124.9 cc motor that churns out 8.52 bhp of maximum power and 10.54 Nm of peak torque. Both the engines are mated to a V-Matic transmission. With average monthly sales of 61,650 units, the TVS Jupiter is the second-most selling scooter in India in 2018. The Jupiter is available in four variants with the range-topping Jupiter Classic model. The TVS Jupiter Classic features an elegant windshield, front disc brake, chrome pillion grab rails with cushioned backrests and dual-tone seats. The TVS Jupiter sources power from a 109.7 cc, single-cylinder, air-cooled motor that is capable of generating 7.9 bhp of maximum power and 8 Nm of peak torque, mated to a CVT gearbox. 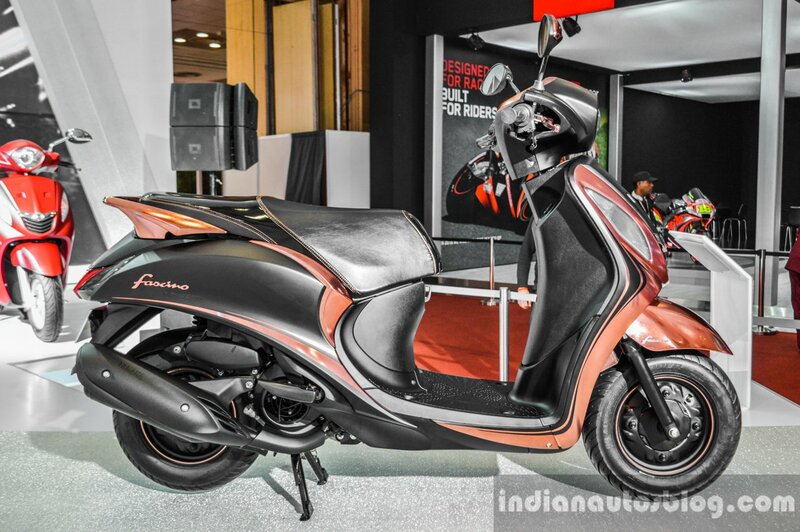 The Jupiter is priced between INR 51,163 to INR 57,323 (ex-showroom Delhi). The Suzuki Access 125 is the third-highest selling scooter in India and the best-selling step-through vehicle in its segment. The Access 125 features an optional front disc brake, while CBS is standard. It gets the Suzuki Easy Start system, front pocket, DC charging socket, and a one-push central lock system. The Suzuki Access 125 employs a 124 cc, SOHC, 2-valve engine that pumps out 8.5 bhp of maximum power and 10.2 Nm of peak torque, mated to a CVT. 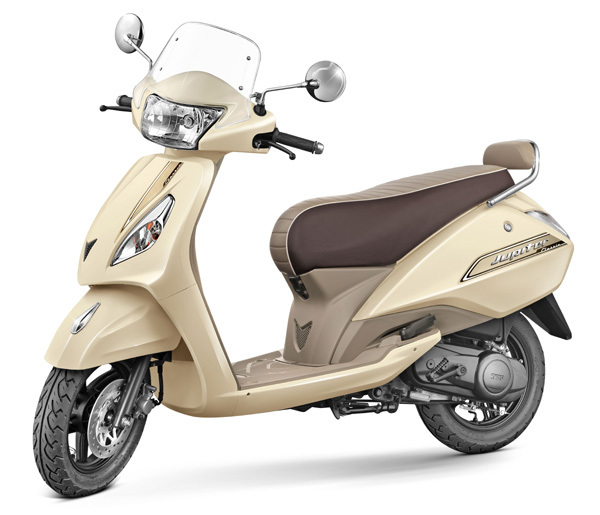 The Access 125 costs in the range of INR 55,459 to INR 59,118 (ex-showroom Delhi). 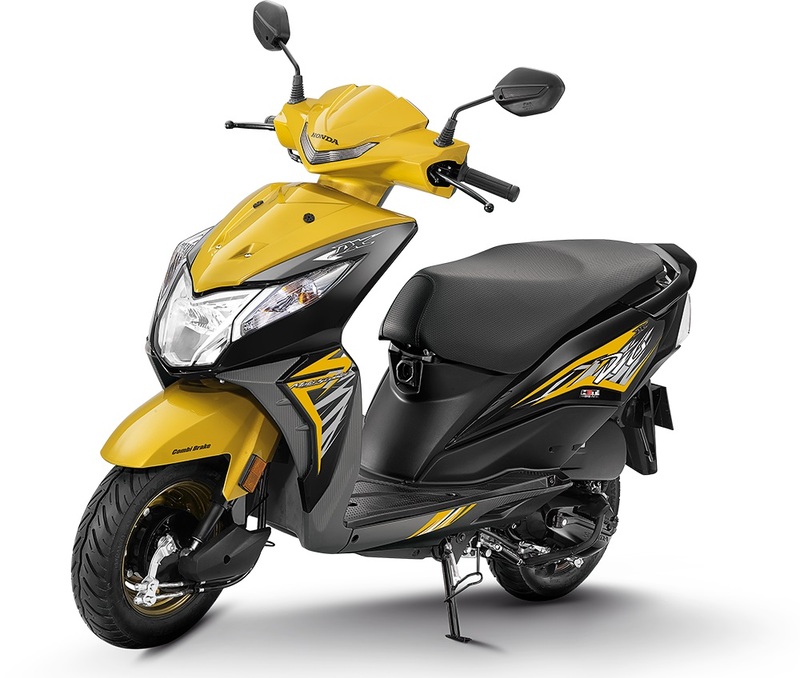 The Honda Dio is the fourth-largest selling scooter in the domestic market in 2018, with monthly sales of 37,691 units. The Dio is available in two variants – Standard and DLX -, priced at INR 51,837 and INR 53,837 (ex-showroom Delhi), respectively. 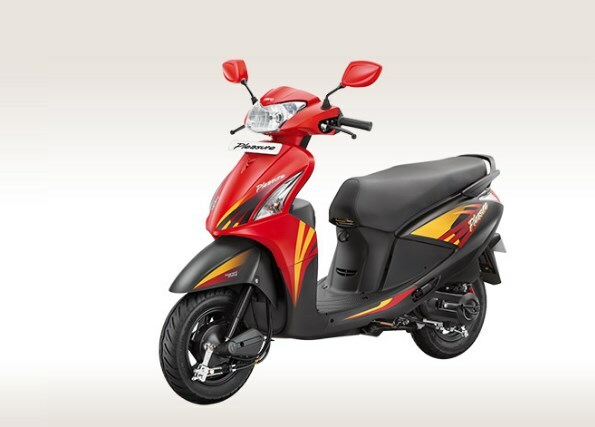 The Honda Dio uses the same 109.19 cc single-cylinder motor from the Honda Activa. The 4-stroke engine is capable of producing 8 bhp of maximum power and a peak torque of 9 Nm, coupled to a V-Matic gearbox. The scooter features LED headlight and position lamps, fully-digital instrumentation, dual-tone paint scheme, mobile charging socket and CBS. 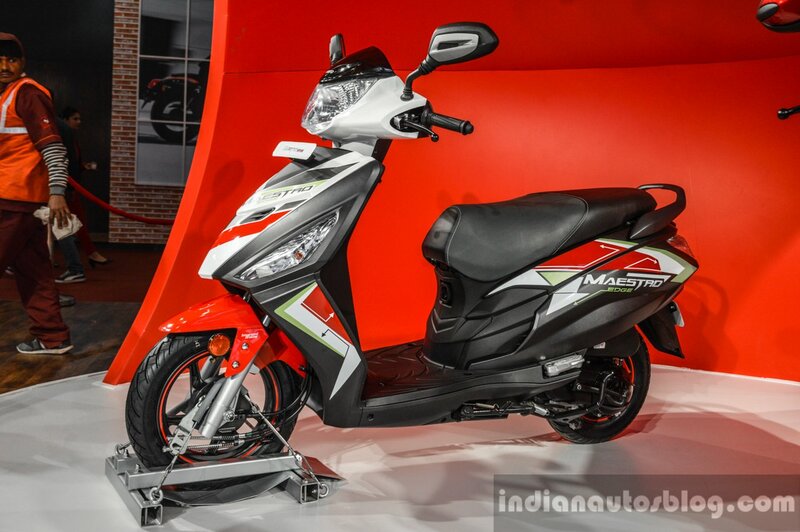 The Hero Maestro Edge is a sporty offering from Hero MotoCorp that is targeted towards younger consumers. At 31,284 units of monthly sales, the Maestro Edge is the fifth-largest selling scooter in India. That said, the company will launch the Hero Maestro Edge 125 in India in the coming months. The Hero Maestro Edge uses a 110.9 cc motor that puts out 8 bhp of power and 8.7 Nm of peak torque, mated to a variomatic gearbox. The Maestro Edge costs INR 49,900 for the base model and INR 51,300 for the dual-tone variant (both the prices are ex-showroom Delhi). 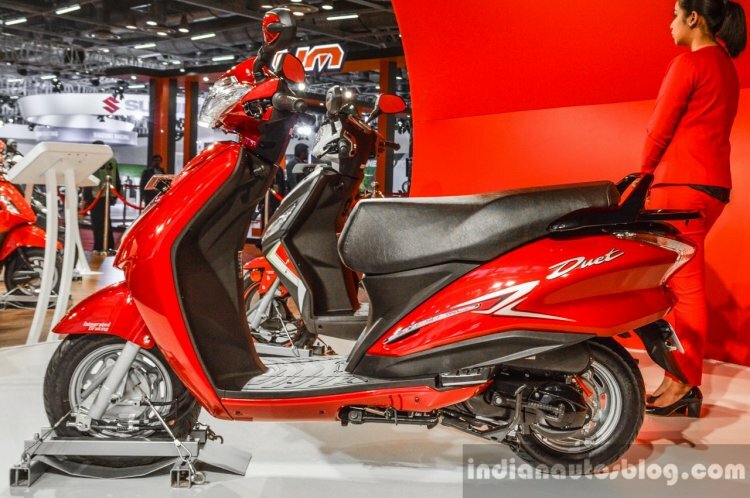 The Honda Grazia is the sixth most selling scooter in India, with average monthly sales of 19,450 units. The Grazia is available in the price bracket of INR 59,622 to INR 63,994 (ex-showroom Delhi). The scooter comes with features like a LED headlamp, digital speedometer, service due indicator and an optional mobile charging socket. The Honda Grazia is powered by a 124.9 cc, single-cylinder motor that is tuned to produce 8.52 bhp of maximum power and 10.54 Nm of peak torque, mated to a V-Matic gearbox. The Hero Duet primarily rivals the Honda Activa and comes with an all-metal bodywork. 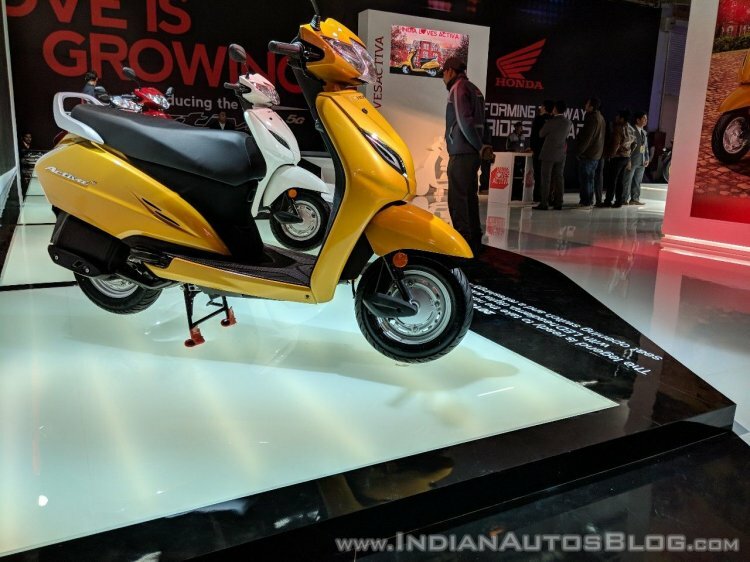 The unisex scooter is targeted towards family consumers and is priced at INR 47, 250 and INR 48,900 (ex-showroom Delhi) for the LX and VX variants respectively. The Duet has average monthly sales of 18,557 units. Hero MotoCorp will launch the Destini 125 (rechristened Hero Duet 125) in India during the festival season. The Hero Duet features an external fuel filling cap, telescopic front forks, mobile charging port, boot light, semi-digital instrument console and tubeless tyres. 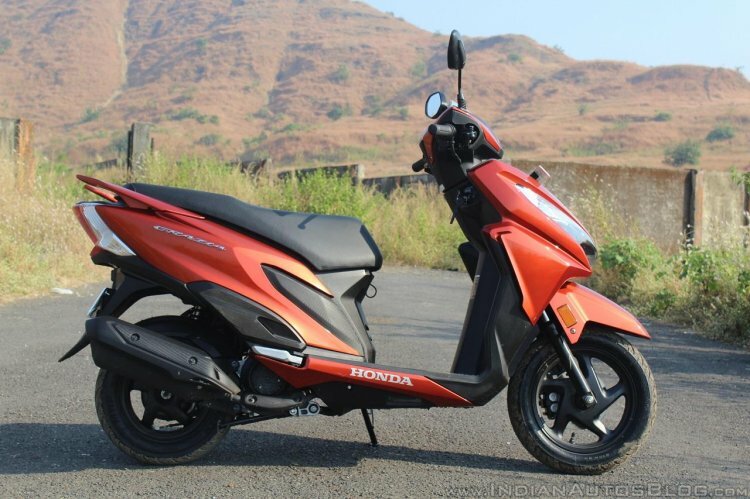 The scooter sources power from a 110.9 cc engine that is good for a maximum power of 8 bhp and a peak torque of 8.7 Nm mated to a variomatic gearbox. The Yamaha Fascino, with 15,912 units of average monthly sales, is the eighth largest selling scooter in the domestic market. The Fascino carries a modern-retro design language with a plastic bodywork. 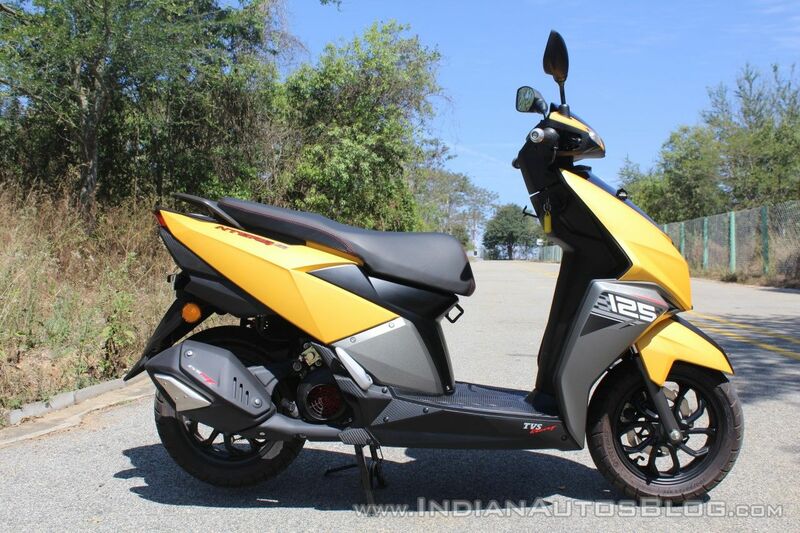 It rivals the Honda Activa, Hero Duet, Honda Dio and the TVS Jupiter. Powering the Yamaha Fascino is a 113 cc, air-cooled motor that produces 7 bhp of maximum power and 8.1 Nm of peak torque, mated to a V-Belt automatic transmission. 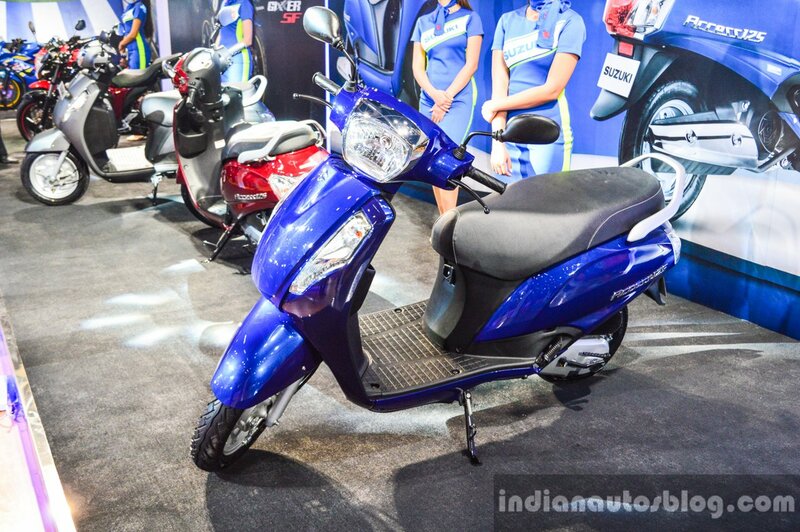 The scooter is priced at INR 54,793 (ex-showroom Delhi). The Hero Pleasure is one of the oldest scooters in this list, and at 15,363 units of average monthly sales, it is the ninth most selling step-through in India. It rivals the TVS Scooty Pep Plus and the Suzuki Let’s. The Hero Pleasure is powered by a 102 cc, single-cylinder engine that produces 6.9 bhp of maximum power and 8.1 Nm of peak torque. The motor works with an automatic transmission. The Hero Pleasure is priced at INR 46,100 and INR 48,100 (ex-showroom Delhi) for the steel wheels and alloys variants respectively. The TVS Ntorq 125 is the latest to feature in the list of top 10 bestselling scooters in India in 2018 with average monthly sales of 13,688 units. Within six months of its launch, the Ntorq 125 has crossed over 1 lakh sales in the domestic market. The scooter costs INR 59,712 (ex-showroom Delhi). The TVS Ntorq 125 comes with features like a LED taillight, fully-digital instrument cluster with Bluetooth connectivity, LED DRLs, and front petal disc brakes. The Ntorq 125 employs a 124.79 cc, 3-valve, air-cooled engine that produces 9.27 bhp of power and 10.5 Nm of peak torque, mated to a CVT-i gearbox.